Think of any great company, any one. Then think about what makes that company so successful. If you can come up with more than five things, it would be surprising. Usually it’s just one or two. I read somewhere that the more symptoms a person presents to the doctor, the worse the diagnosis becomes. If you stand for “everything,” then you stand for “nothing.” The point is that we have trouble keeping track of all the companies within a segment and what sets them apart. And who's the best at what. We often talk of being "top of mind" among our customers, or in other words, to be one of three to five companies they have in mind as potential suppliers. But how easy is that to achieve? There are about 46,000 IT and telecom companies in Sweden (according to an IT and Telecom Industries report 2014 ). Of these, about 1,200 have more than 20 employees. Even if their offerings vary, it is still a fairly large number. To be in the top three in this market is, to say the least, a challenge. It does not get easier with the fact that most IT companies have a large and diverse product and services offering. It is common to have three main areas such as consulting, infrastructure and application management with a further five to six offerings per area. Moreover, companies happily promote all the industry segments in which they have experience. All in all, it means an extensive range of services, and often, more than your customers (and prospects) bother to keep track of. So you have to ask yourself, does promoting all your offerings the same way help you stand out? Or does it help you blend in? Within UP, we have a technology and IT focus area (called UP for IT), and we see it all too often: product managers struggle to understand that all products cannot be featured equally on the home page of a website. A brand needs to have a singular focus…to stand for something, and that’s what a website’s home page should help do. Product promotion and branding are not the same things. Learning how to separate a product sales pitch from the core brand message is not always easy. Differentiate your brand. In order to stand out from the others, your brand needs to be different. Special. What unique qualities make your brand make it stand out? These are not product features. These are qualities of your brand that apply to all your products. Create brand relevance. How is your brand relevant to your target audience? Focus on what solves a special problem, adds value or speaks directly to the needs and of your customer. How do your customers relate to your brand? Build brand esteem. How does the image your brand projects compare to the actual quality of what you deliver? 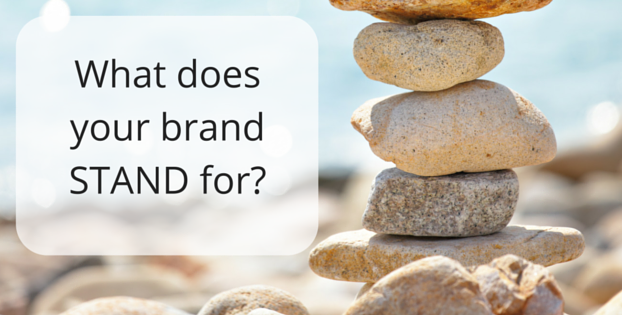 Are you keeping your brand promises? Foster brand knowledge. Your customer’s perception of your brand is the final litmus stick for how well you’ve done your job. The evidence of how well your brand or service works is based on the experience your customers have. Need help with branding? Contact UP.